All 12 months of the year 2012 are displayed on one page on this horizontally oriented, letter-sized calendar for home or office. 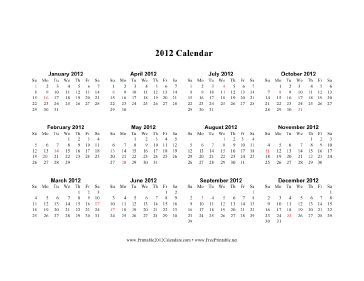 The months are in descending order and major holidays are indicated by red dates. Free to download and print.